In deference to my online buddy Mike CJ, he wrote a post earlier in the week which he titled Why Businesses Shouldn’t Be On Twitter. His main point was that instead of businesses being on Twitter, they should have individuals representing the business on Twitter so that they can show some personality and communicate directly with people. Whereas I agree with the last point, I disagree with the initial statement. In my opinion, businesses definitely need to be on Twitter, and for multiple reasons. Let’s take a look at some of these. 1. Branding. Businesses having a Twitter account get to make sure their logo is out there front and center whenever something is being written for the company. One should never overlook the importance of branding. 2. Customer Service. Last week I had an issue with one of my affiliates not paying me so I kind of called that company out by name on Twitter. Within 5 minutes I was being contacted by the company, or whomever was representing the company account on that day, and we got my issue resolved. I’ve talked in the past about other companies responding to the same type of thing, and last week my friend Josh Shear brought it home again. 3. Protection of name. If a company doesn’t sign up for their name, you can bet that at some point someone else will sign up and start using it, and unless they abuse it there will be nothing the company can do about it. I agree with Mike that Twitter users should have personality. I’ve written about that often enough as well, how I’m looking for more “social” than “selling”. But I think any major business that doesn’t have a Twitter account is allowing their competition to get the leg up on them, and allowing those few people who might complain about them to get the message out without having the chance to offer any assistance and hopefully stem a bad situation. I’m with you here Mitch. My title was ironic, but businesses have to be on Twitter. I’m working hard with those I consult for (all SME’s) to get them to inject some personality into Twitter by allowing the right staff to have their own “named” account. So far, it’s looking an effective strategy. Hi Mike; I was hoping you weren’t overly serious on that one, but I did understand your points. At a workshop I conducted yesterday, even after mentioning the business benefits, a couple of people still weren’t sure they wanted to get involved with it. So be it, I guess. 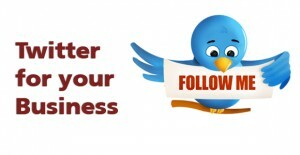 Twitter is one of the best things that I have done for my business. Another reason Twitter is beneficial is that it gives business owners a way to keep up to date with current information in their field in real time. For sure, Keith. That, and the opportunities for networking in person, which I believe has helped both of our businesses. I just did a post about Facebook and Twitter and how I need to make better use of them. Now that’s odd- my pic comes up on other sites. Is it coming up everywhere with your “workingathomeadvice.com” site? Gravatars seem to follow specific websites set up with them. I’ll do it if people want it Dean, but sometimes it’s hard convincing people to go in that direction. I think Twitter is great for a business. I have found a couple businesses through Twitter. I even tried a product because of their being on Twitter that I would not have tried if I had not found them on Twitter. Wow, I’m tired. I hope you understood that? Rose, I understand it perfectly. True, there’s a lot of blather on Twitter as well, and sometimes I wonder if I’m helping to contribute to it. However, there’s lots to learn, lots to keep up on, and some of us do get business from it as well. For branding and name protection I agree. For marketing not really, it depends on the niche. Lets say, post a promo and your company is related to holidays abroad. Mm, it doesn’t sounds that it will work at all. Actually Gordon, I’d disagree. If people from abroad, wherever that is, are following you, or if people in your own country that happen to celebrate the old holiday are following you, then that type of promotion would work wonders. It would probably tap into a niche that no one else was attempting to hit.